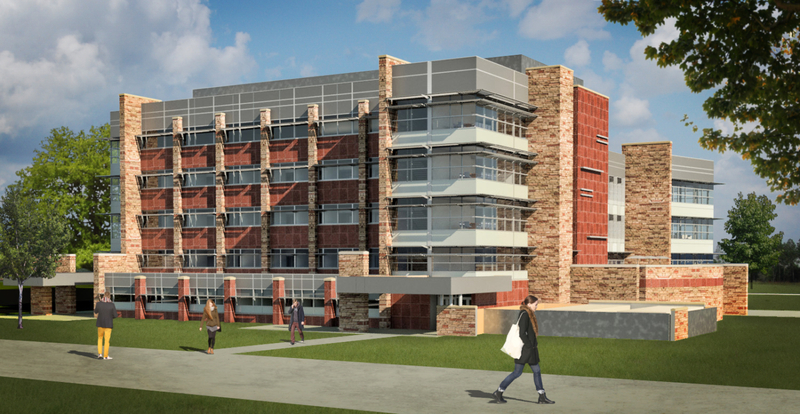 CSNA Architects was tasked with creating the design and bridging documents for a new five story research facility for the biology department within the College of Natural Sciences. To understand the building resident’s needs and functions, CSNA conducted many design charettes with each user group of research faculty that would be housed in the new space. The final design became an efficient machine that allowed for maximum flexibility of the research laboratories while ensuring every researcher had an inviting and comfortable space.